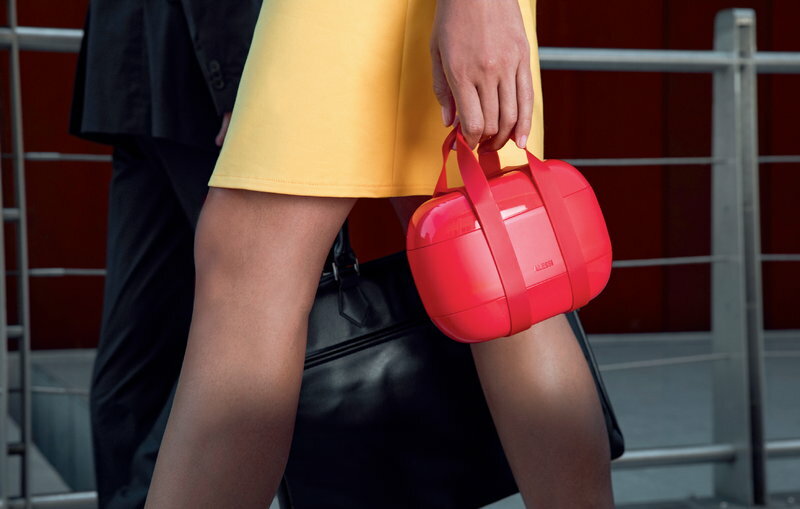 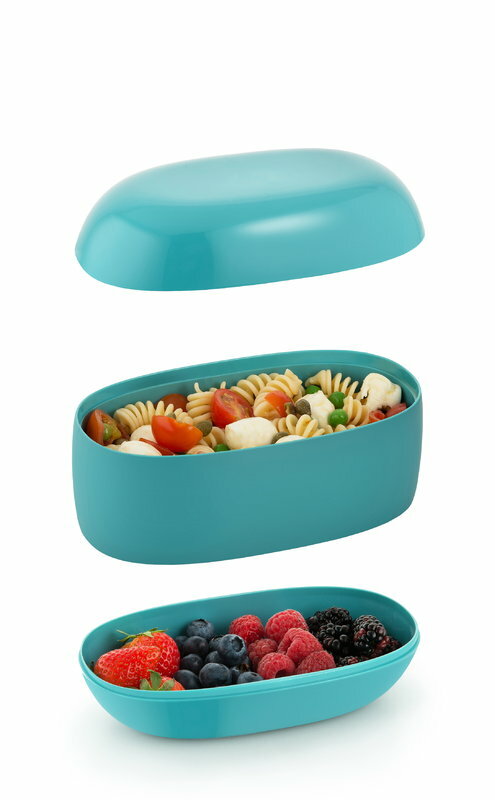 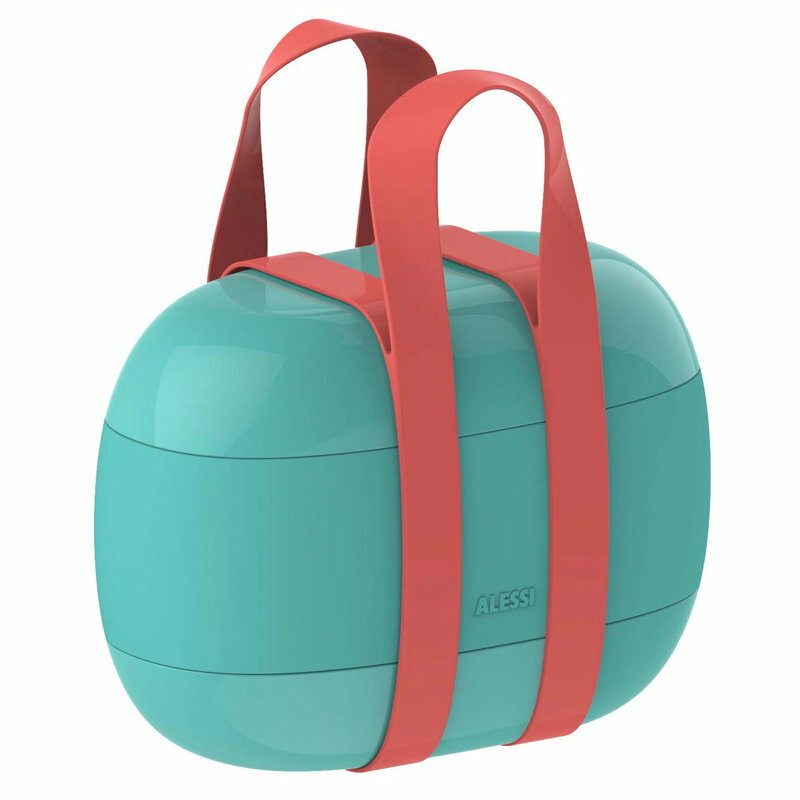 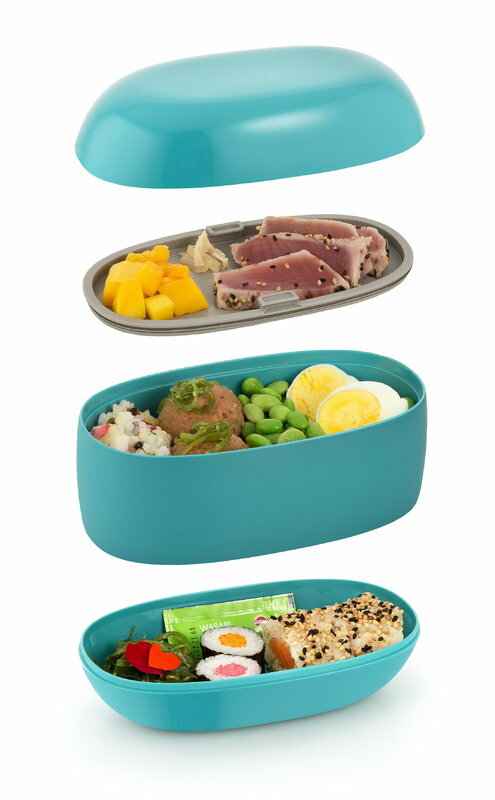 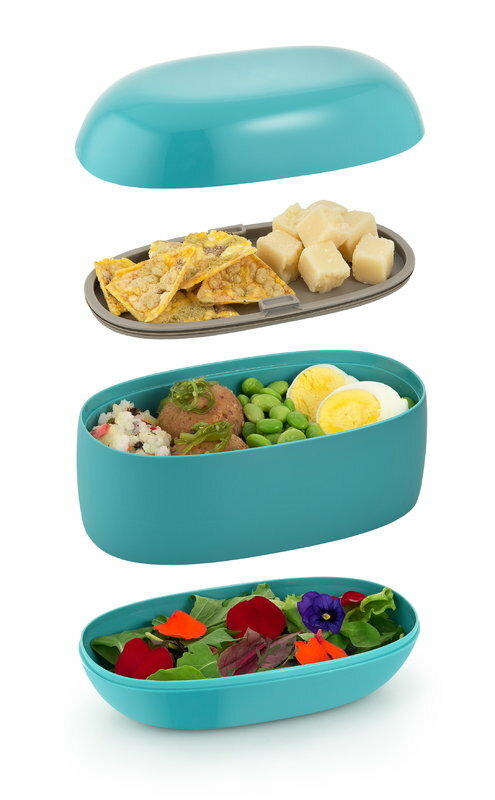 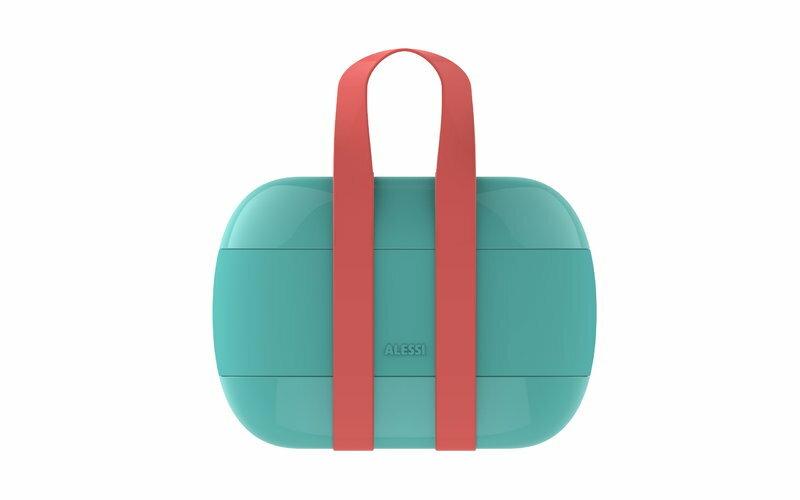 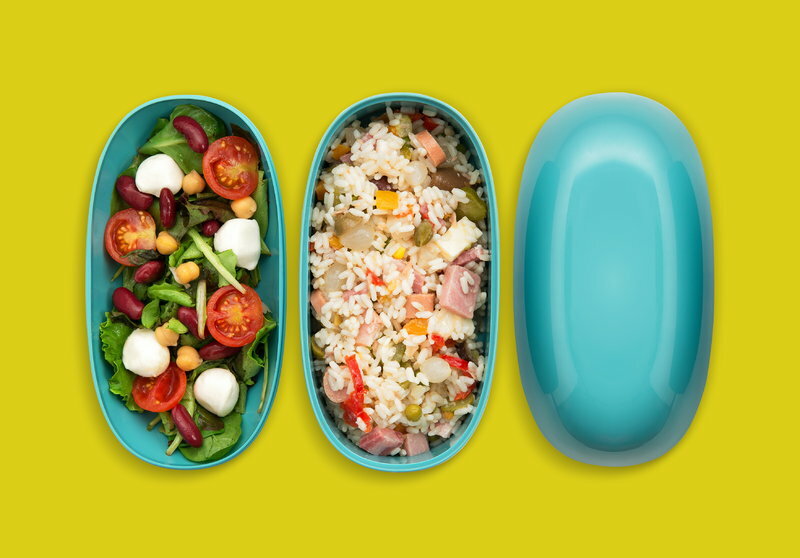 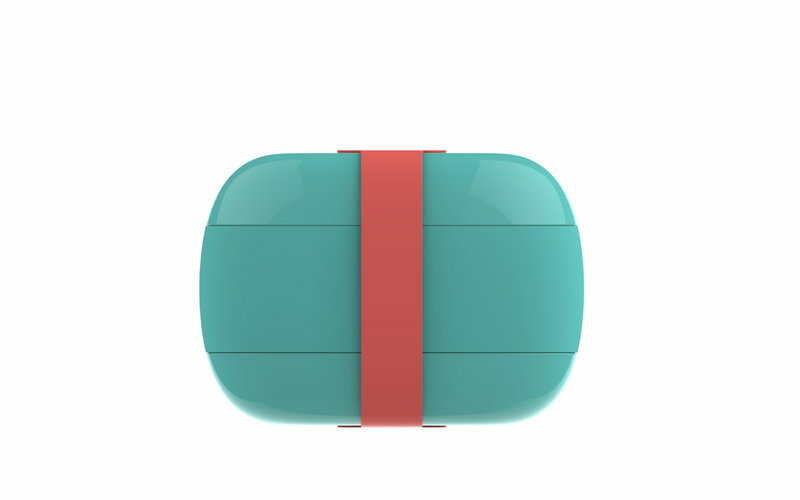 Food à porter lunch box, designed by Sakura Adachi for Alessi, is a joyful interpretation of Japanese bento boxes. 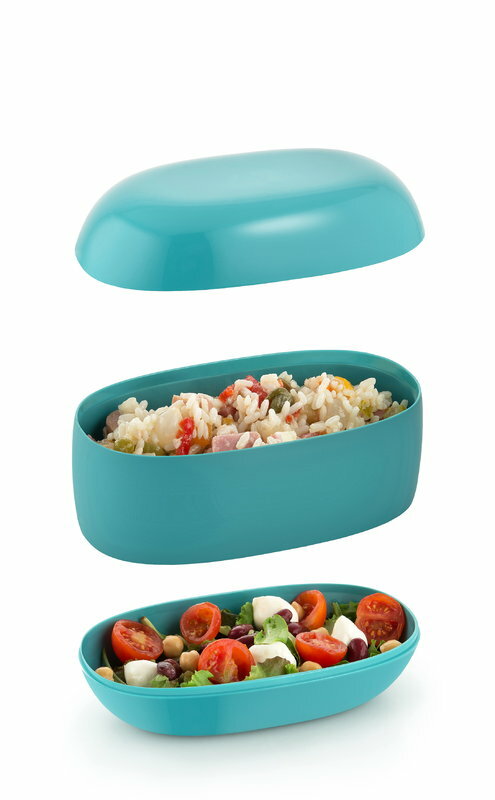 The capacious lunch box consists of three containers and two silicone-sealed lids that allow you to carry with you various types of foods at once. 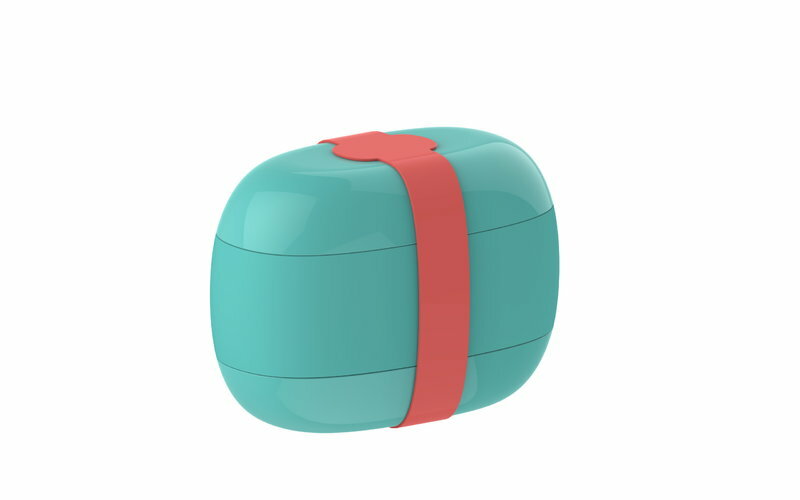 Food à porter comes with silicone bands with convenient handles, making it appear like a fun little handbag from outside.